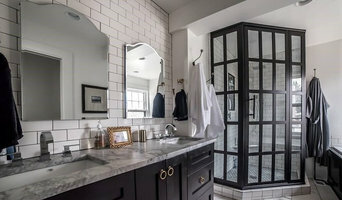 Quality Glass and Mirror, LLC is a family owned and operated full service glass company that has built an excellent reputation servicing the Hampton Roads area for over 25 years. Our commitment to customer satisfaction, our use of the highest quality materials available and our professional expertise in the field has made Quality Glass and Mirror, LLC the “glass company of choice” by numerous area custom builders, interior designers, businesses and individuals alike. Commercial and Residential Glazing Contractors. 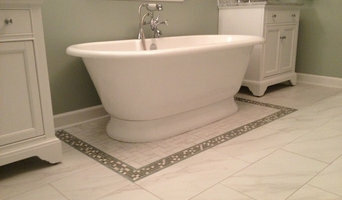 We Create Luxurious Custom Shower Spaces that fit every budget! 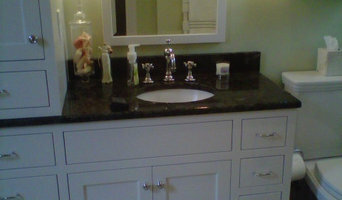 Custom Table Tops, Custom Mirrors, Custom Backsplashes, Glass Shelves and Furniture. Glass Restoration Services, Glass Surface Protection. Whether you’re looking for a team of Sandston, VA professionals or a handyman for a small renovation, you’ll find dozens of professional profiles and contact information for specialty contractors here on Houzz. Here are some related professionals and vendors to complement the work of specialty contractors: General Contractors, Landscape Contractors, Architects & Building Designers, Interior Designers & Decorators, Kitchen & Bath Designers. Let’s say you want to install custom wood flooring in your dining room, and you’ve found a Sandston, VA company with excellent reviews. Next you’ll want to contact the company and make some inquiries. Find specialty contractors on Houzz. Look in the Professionals section of our website under Sandston, VA specialty contractors, then select the nearest metro area for a contractor. You can also look through Virginia photos of completed projects to see how a contractor might approach design challenges.